dept4 x 4 is a new category of posts, which will be a recurring series outlining my four favourite, best, most useful, or most used items in a particular area of interest. These may include products, services, sites, apps, books…you get the picture. Whenever I post a list of this nature, it will unsurprisingly contain four items, generally in no particular order, though I am sure there is a thesis somewhere proving even a random list contains some sort of hierarchy. Hopefully these lists may prompt you to view, listen, read, test, try or otherwise “have a crack” at some of the suggestions. I believe the greatest power of the internet lies in the discovery of the new and untried, which may ultimately provide you with an opportunity to learn, or in some way improve on how you do things. Granted, you can also waste a lot of time as well, but sometimes the search (within reason) and discovery is half the fun. In this post, we take a look at my four favourite podcasts, however first a little background. My app of choice for podcast listening is Downcast, and has been for some time. I have also previously used Instacast, which is a great app and has seen some updates since my last use. The reason for my change being at the time of switching, Downcast was also available for the iPad (though I see on the App Store Instacast is now a universal app), however the number of podcasts I have listened to on my iPad number approximately…..zero. Despite this, I have not had a reason to switch back, and have continued with Downcast. 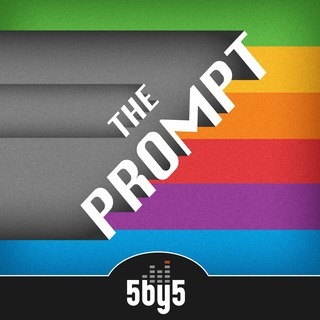 I cannot comment on the Apple podcast app having never used it, though have not heard overly positive feedback, so personally I would go with one of the excellent third-party applications. Some of the shows listed below originally began their existence on Myke Hurley’s 70Decibels network, which has this year joined the larger 5By5 network, run by Dan Benjamin. The change has been a smooth one (from a listener perspective at least), and I assume will provide improved infrastructure and resources for these shows to allow a greater focus on content, which can only be a good thing. 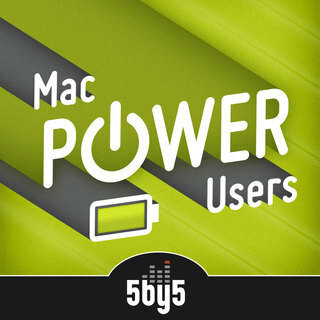 They say: A weekly panel discussion on technology, and the culture surrounding Apple and related companies. I say: The “UN General Assembly of Podcasting”. Spanning three countries, a trio of hosts (Myke Hurley, Stephen Hackett, Federico Viticci) discussing technology in a way that is interesting for someone such as myself, whom I consider has a ‘keen interest’ in Apple related technology, but is far from ‘tech geek’ stature in terms of ability. 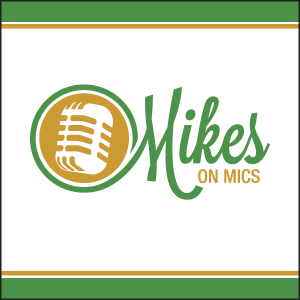 A transition from Stephen and Myke’s previous 512 Podcast on the 70 Decibels network. Worth it for Federico’s sublime accent? Probably yes, but as always content is king. At the time of writing, is number three in tech podcasts in the Australian iTunes Store, having reached number one in the UK. The new format is only 1 episode old, but trust me, there are great things coming here. They say: Back to Work is an award winning talk show with Merlin Mann and Dan Benjamin discussing productivity, communication, work, barriers, constraints, tools, and more. I say: After almost 10 years of online interaction, and some 122 episodes of B2W, hosts Dan Benjamin and Merlin Mann recently met for the first time and recorded episode 123 ‘in the flesh’. A good deal of humour and effortless banter ensure this has the feeling of just sitting around listening to a couple of mates have a chat. What you will walk away with however are some fantastic insights into managing some of the daily struggles of ‘corporate stoogedom’ and some strategies to more successfully navigate the mire. Some great messages, delivered in some of the most uniquely entertaining ways. My recommendation? Give it a few episodes to get yourself in the groove – you won’t be sorry, because the first half hour or so from each episode is exactly what people tune in for. They say: Learn about getting the most from your Apple technology with focused topics and workflow guests. Creating Mac Power Users, one geek at a time since 2009. I say: As someone with a keen interest in Apple related technology, I am always looking for guidance and helpful hints in getting the most out of my digital devices. You may consider this a strange entrant in a list created by someone who actually doesn’t own a mac (yet), however the mix of guests and topics covered (often relating to all other ‘iDevices’), are always helpful in providing tips on workflows, shortcuts, efficiencies, and using Apple technologies to overcome many of the barriers (both at work and home) to achieving what you set out to do. They say: Analog tools are often pushed aside in the digital age but The Pen Addict Podcast is bringing them back, front and center. 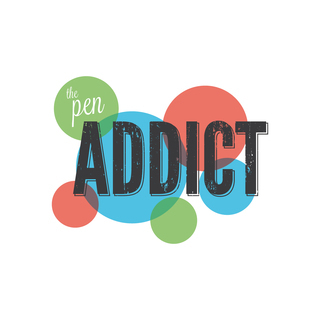 Join Brad Dowdy, aka “The Pen Addict” and Myke Hurley each week as they discuss all things pen and paper. I say: Worth listening to for Myke’s unique weekly introduction of Brad, which varies each episode. A podcast reaching 59 episodes on items so analog (pens, paper, stationary), that normally rely on look and physical feel to appreciate, must have something going for it – and this one certainly does. Both hosts have a passion for these non-digital tools, and provide thoughtful discussion week after week on both the philosophical and technical aspects of what is featured. A key aspect often so rare when seeking out pen related content, is that this is far from the expensive pen collector mindset, with 90% (or more), of the discussion related to very affordable items. However, this hasn’t prevented many a listener (or host) from going mail order crazy on some of the items discussed – but really, that’s why we all listen each week. They say: Michael Schechter and Mike Vardy talk technology and time management, parenting and productivity and all things in between during this podcast, all while sipping on their drink of choice for each episode. I say: This is where it all started for me. Coming fairly late into the whole productivity game, and discovering more through both hosts respective websites, this was my first podcast subscription, and I continue to listen to the two Mikes and their various guests discuss this ‘genre’, for want of a better word. Filled with tips, philosophies and workflow advice, this is indeed a great place to start (and continue), if you are looking at approaches to improve how you work. I definitely find the format of a podcast useful in gaining an understanding of a large amount of content in a short period of time. An added advantage is often there will be slight or wholehearted differences in opinion by the hosts and their guests around certain topics, which can further clarify your own thinking on a certain topic, or at least provide the stimulus to seek out more information for yourself to gain a greater understanding. So, time permitting, check out some of those listed above and see what you think.